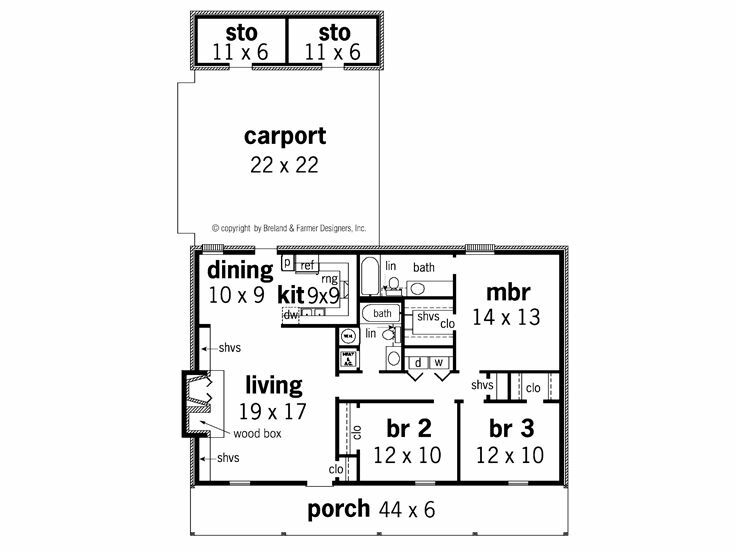 First Floor 1244 sq. ft. Depth 62 ft. 0 in. Approx. Height 19 ft. 0 in. 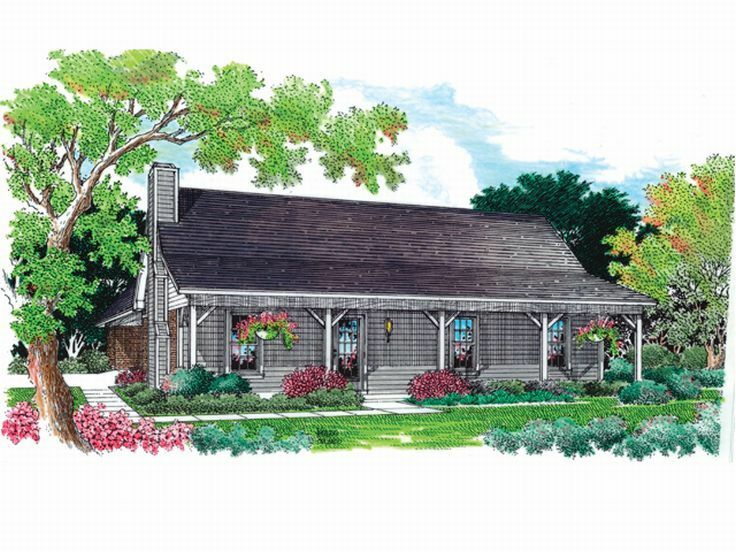 Greeting all who enter, the full-length covered front porch gives this country house plan its street appeal. On warm days, enjoy conversation and a glass of lemonade on the front porch. Inside, built-ins flank the fireplace with handy wood box. The spacious living room blends with the dining room creating flexible living space. Conveniently located, the laundry closet is situated just outside the bedrooms. 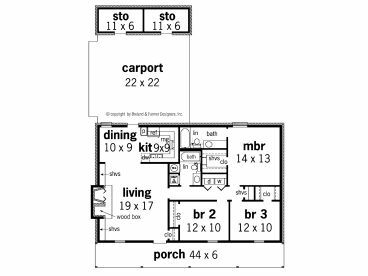 The master bedroom enjoys a private bath and walk-in closet while the secondary bedrooms share a hall bath. Though small and affordable, a two-car carport with storage areas completes this ranch home plan.